Depth of hold 29' 9"
Propulsion: Four Heine boilers, one 2,500shp Westinghouse steam turbine, one shaft. 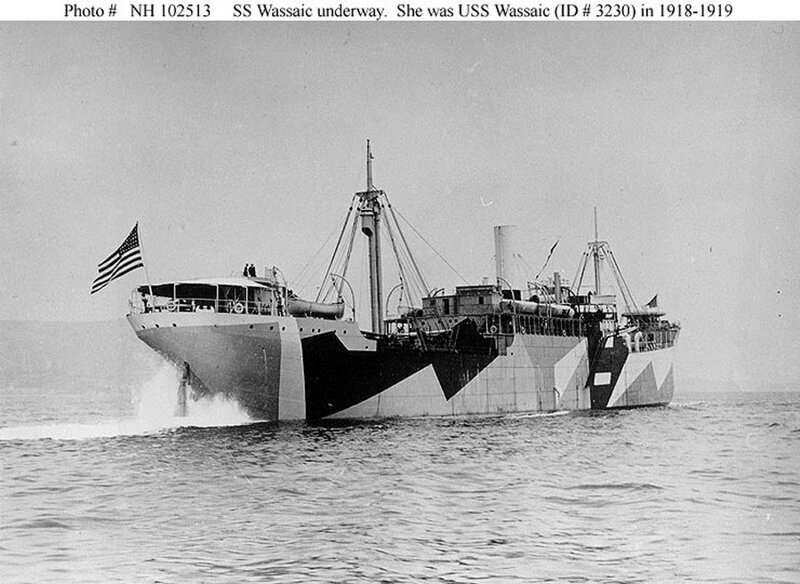 Dictionary of American Naval Fighting Ships History: Wassaic, a steel-hulled, single-screw freighter built under a Shipping Board contract, was launched on 14 April 1918 at Los Angeles, Calif., by the Los Angeles Shipbuilding and Drydock Co. Subsequently taken over by the Navy for use by the Naval Overseas Transportation Service (NOTS) and given Id. No. 3230. 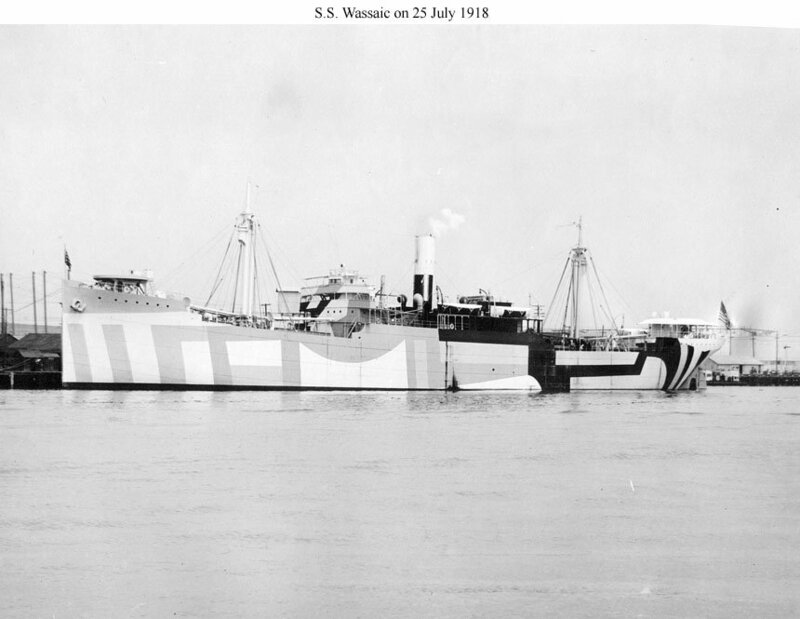 Wassaic was commissioned at New Orleans, La., on 11 October 1918, Lt. Comdr. George H. Cooke, USNRF, in command. Arriving on 13 December, the ship spent Christmas there before getting underway for the United States on the last day of the year. After a stop at Corona, Spain, for repairs to her damaged propeller Wassaic got underway from that port on 6 January 1919. Following stops at the Azores and Bermuda, the freighter made port at Newport News, Va., on 7 February. The ship took on a cargo of railroad supplies and departed the east coast on her second NOTS voyage on 10 March, bound for La Pallice, France. Arriving there on the 23d, she discharged her cargo and returned to the United States, heavily ballasted partly with a cargo of steel rails. Putting briefly into Norfolk on 22 April, Wassaic sailed for New Orleans on the following day, arriving on the 29th. Discharging her cargo of steel there, the freighter shifted to New York. There, after final repairs and inventories, Wassaic was decommissioned, struck from the Navy list, and returned to the Shipping Board, all on 29 May 1919. Wassaic remained in Shipping Board ownership until she was abandoned due to age and deterioration in 1931 or 1932.